Kim's superstardom wonderland isn't the only gig in town. 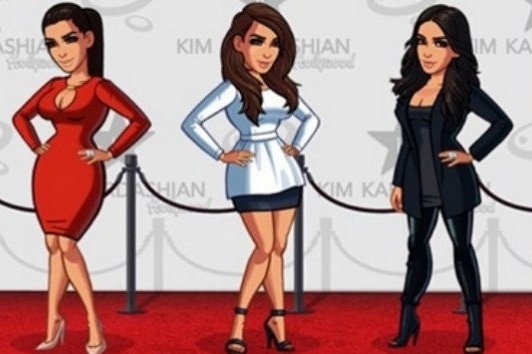 What's all the hubbub surrounding Glu Mobile's Kim Kardashian: Hollywood about, anyway? Why's it amassing such a rabid following? You might be surprised to learn that it's actually an immersive and incredibly addictive game, despite the celebrity that it's attached to. But once the gimmickry appeal has subsided, what do you play to capture the same spirit of this star-studded simulator when the luster has faded? We've got five viable options to find shelter in when you find yourself ready to find a new life in the land of celebrity, fashion, and stardom. Having taken obvious inspiration from this game, Kim Kardashian: Hollywood feels very similar to this Stardom release, where you take up the role of an aspiring actress who's trying to make her way in Hollyweird, finding work, networking, and rising through the ranks to become a member of the coveted A-list. You'll get there eventually if you work hard enough at it, but navigating the strange world of working in showbiz is what makes the game so much fun! Download Stardom: Hollywood for iPhone, iPad, and Android. Fame City places players in the shoes of an international superstar as they jet set between countries, purchase luxury apartments, and closets full of expensive clothing. Audition for TV commercials, movies, and go up against your competition to eventually become one of the most in-demand celebrities on the market. Plus, it's colorful and fun. Not too complicated. Pretty inoffensive stuff here. Download Fame City for iPhone, iPad, and Android. Try something a little different with Fashion Story, which asks you to open up and maintain a haute couture clothing boutique and run it to the best of your ability. The colorful world of fashion is at your fingertips as you stock the boutique and manage a team to keep your store up and running like a well-oiled machine. It's not nearly as complicated as other games on the list, so it's even more accessible and great for a wider audience who may not be as into celebrity culture as those who play Kim's game. Download Fashion Story for iPhone, iPad, and Android. Campus Life is a complete 180 degrees from the glitz and glam of celebrity life and fame, instead placing the focus on a sorority filled with your best girlfriends on campus. You'll plan blowout parties, change up your look via makeovers, and recruit popular athletes to attend the parties you plan to bring into reality. Of course, you've got to manage a reasonable budget to accomplish all this. It's not easy to be the campus superstar, but Campus Life makes it fun and entertaining for a fun and casual time. Download Campus Life for iPhone, iPad, and Android. While most of these simulators offer one career path for you to pursue, Star Girl is unique in that it allows you to act, sing, or become a model. Dating sim elements ensure there's a sliver of what made networking and meeting new people entertaining in Kim Kardashian: Hollywood, and fashion plays a lot larger role in the game overall. It may not be as polished, but it's still very much worth your time. Download Star Girl for iPhone, iPad, and Android.